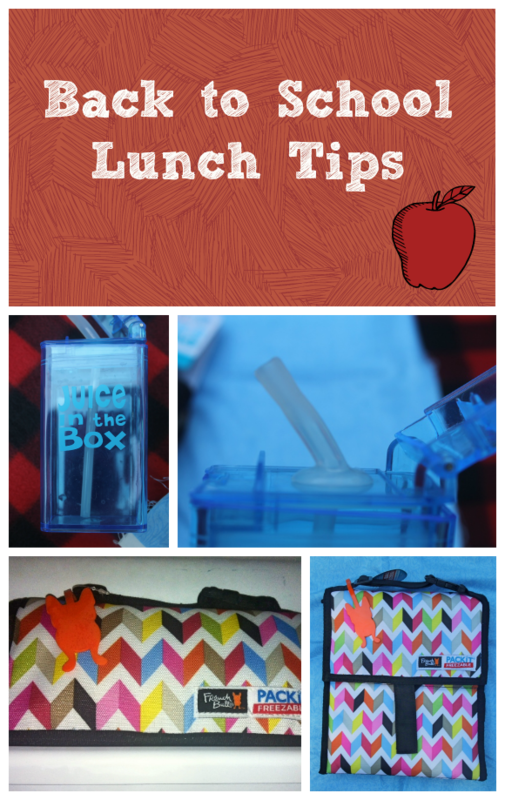 I received products mentioned below to help me write these tips to make back to school lunches easier. All opinions are my own. Despite my desire to stretch summer out as long as possible for my son, back to school is right around the corner. While neither of us are happy about this, as we’ve had nothing but problems at his school for the last four years, it’s time to face reality. Summer is almost over. With back to school season comes back to school lunches. Now, Jacob usually buys his lunch at school, but there are days that he prefers to pack. Unfortunately, he usually tells me he wants to pack like three minutes before we have to be out the door! I feel bad saying “bud, it’s too late!”So this year, I am devising a system that will make it easier for me to give in to that last-minute request to pack his school lunch. Take a look at my ideas. Keep a stash of “go” lunches for those last-minute days. Jacob loves “finger food” lunches with turkey pepperoni, sliced cheese, black olives and carrots. As long as I keep a supply of those things and an open can of olives, I have an easy go lunch. For your child, it may be sandwich meat already separated into lunch portions, individual servings of soup in little containers or whatever else they like. The point is to make sure you have a stash ready to go. Prep everything the night before. If you know in advance that your child will be taking lunch the next day, make as much as you can the night before. Put veggies in containers, pack the juice, add napkins and so on. I don’t like to make Jacob’s peanut butter and fluff sandwich the night before because the bread gets gunky, but when there is just one thing left to prep in the morning, it’s a lot easier! Use Juice in the Box! 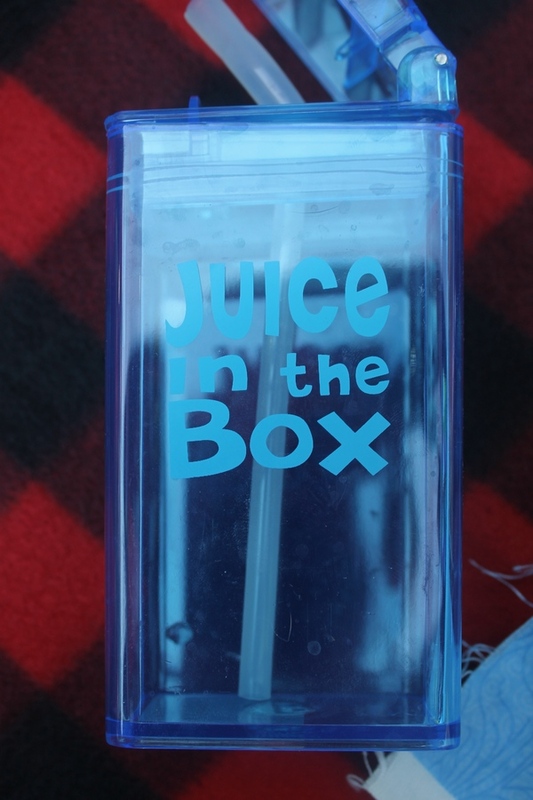 Speaking of juice, I tried out this awesome container called Juice in the Box. Basically, you can put any juice in it and it’s like having a juice box! The obvious benefit, of course, is that it saves you a ton of money since you’re not buying those single-serving juice boxes. Plus, it’s so much better for the environment. When it’s shut, it’s completely spill proof. 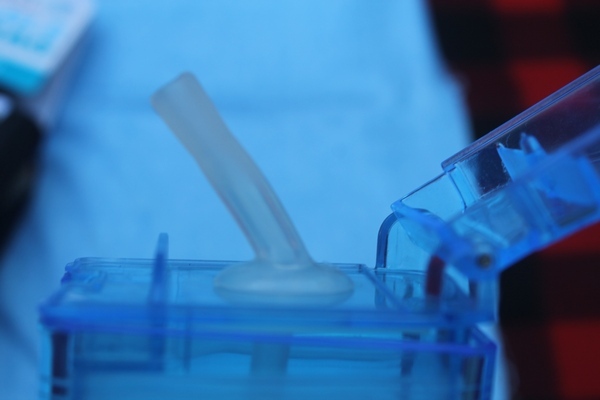 In fact, even when it’s open, unless kids are sipping from it, they aren’t likely to spill. Jake has used his every day since it came! It’s made from near indestructible materials too, so it will last you all school year! Find out lunchroom policies right away. I probably should have mentioned this first, but one of the best ways to make school lunches easier is to NOT pack things that are prohibited. For example, at Jake’s school, he’s allowed peanut butter in the lunch room but not as a class snack. Some schools don’t allow any peanut products, while others have rules on the desserts you can send along. Personally, I feel I should be able to send anything I want as long as it’s not a health hazard for another child (I’m okay with no peanuts as I know they can actually kill children with allergies, but if I want to send Ring Dings along as a dessert, that should be my choice). Think outside the box. 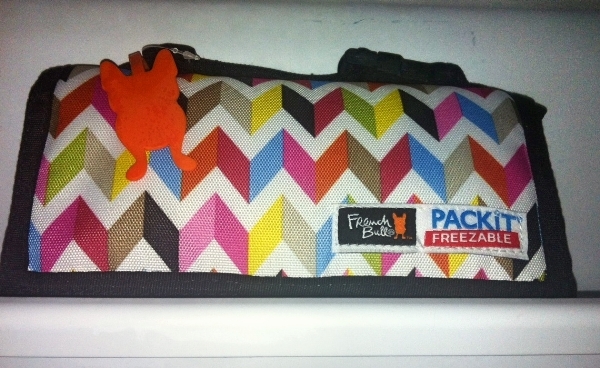 Another fabulous back to school product I received is the Packit Freezable Lunch Bag. I’m totally keeping this for myself! It rolls up into a small little bundle that fits right on your freezer door. When you need it, just unroll and fill it up! It keeps food cold for up to 10 hours, so you can pack it first thing in the morning and your child’s lunch will stay fresh until he’s ready to eat it. 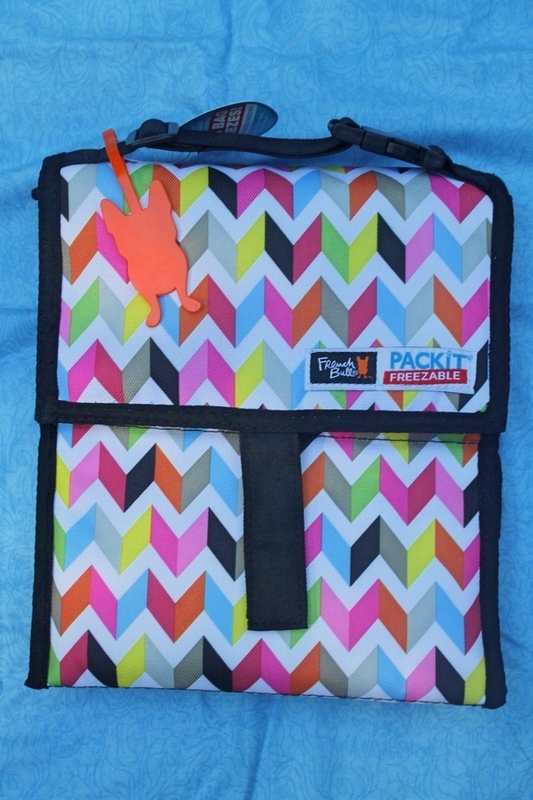 I love the PackIt because it’s easier to fit into Jake’s book bag than a lunch box. I also really love using it for family outings! Best of all, they are free of harmful PVC, BPA, phthalates and lead and are made with nontoxic food-safe materials. Both the Juice in the Box and the PackIt Freezable Lunch Bag will make your mornings so much easier. Together, with my other tips, you should be able to get out the door on time even when your child requests to pack last minute! What are your tips for making back to school lunches easier? These are great tips that I use. I like the juice in the box and making lunches the night before. I also have extra items on hand if I do not have enough food to get to the store. And of course and nice lunch box is a must. I really need to be better at keeping extra items on hand. I am a “run to the store” shopper, meaning I go like 5 times a week because I am always out of something. Thanks for sharing, both look like great products for back to school. This is a great post, thank you for sharing. I think making lunch the night before is really the way to go. I love the Juice in the Box container. I have to do things the night before since I tend not to be very awake in the morning. I am also never awake in the morning. Half the time I don’t even remember taking my son to the bus stop, lol! We’re not morning people here.